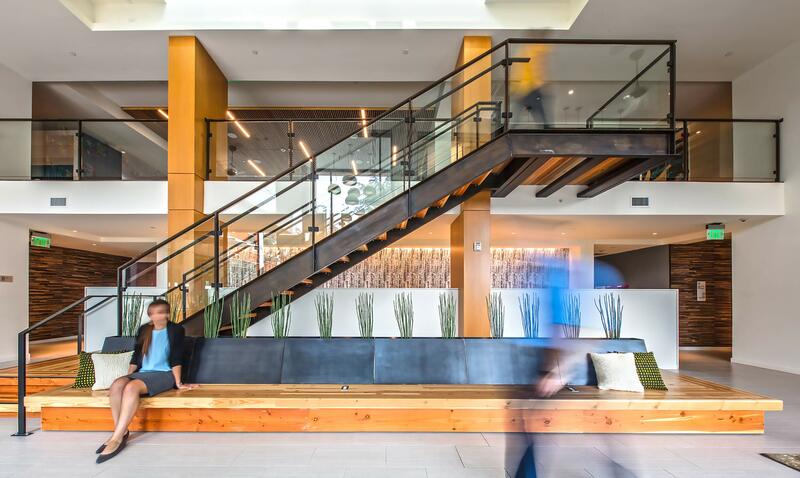 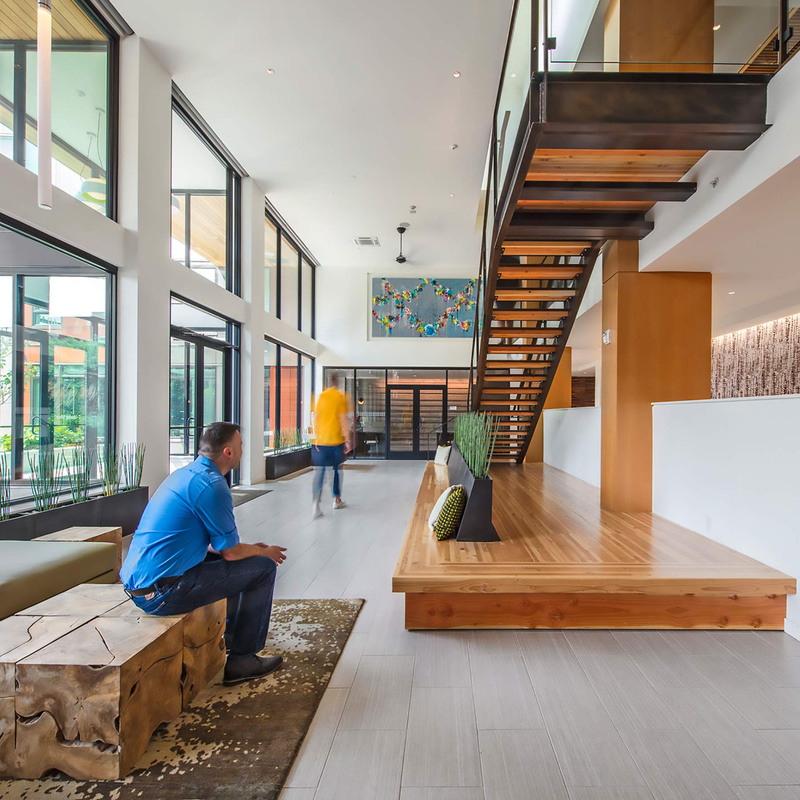 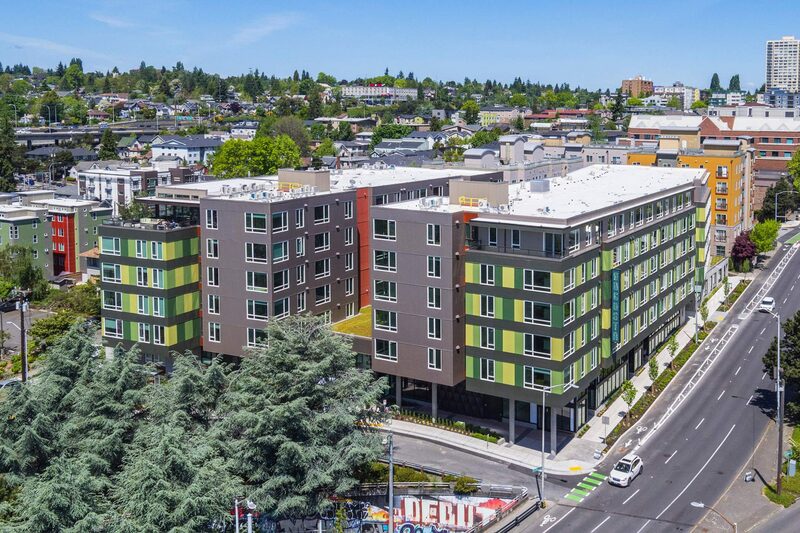 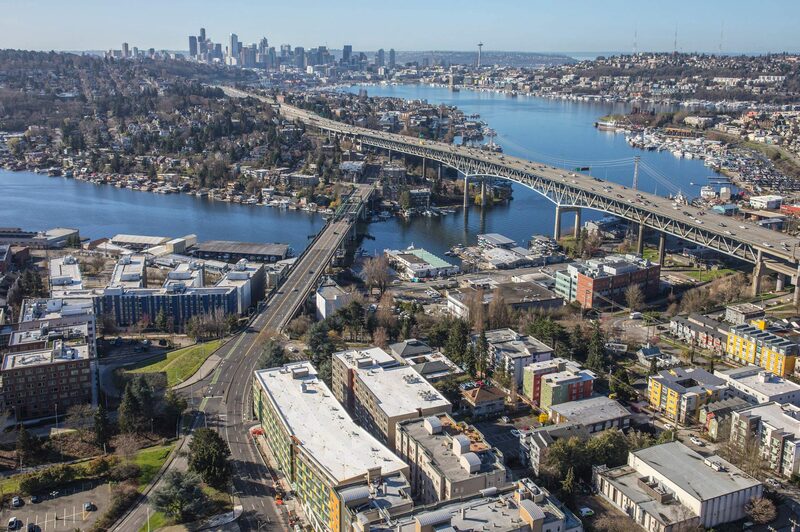 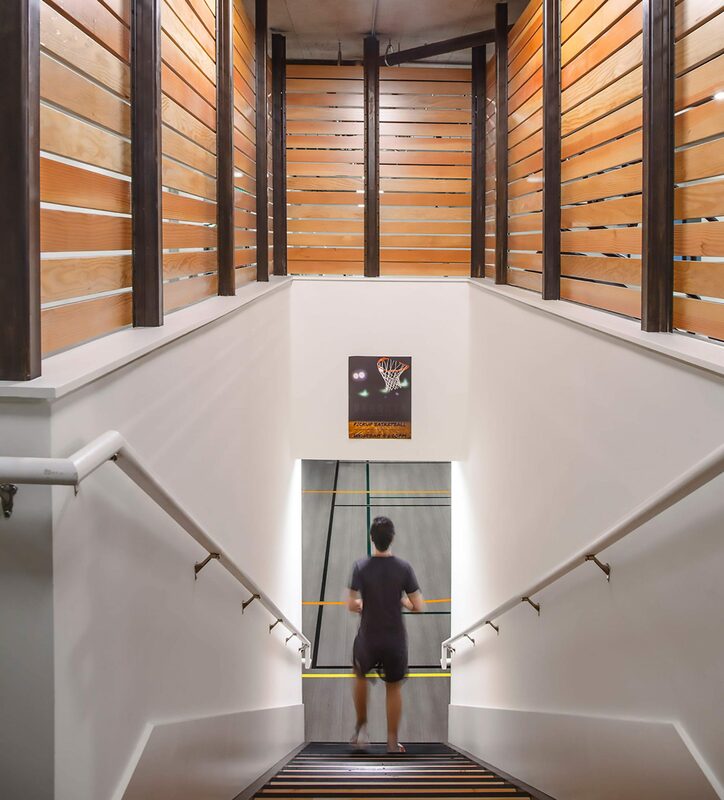 Situated at the southwestern edge of Seattle’s University District, the seven-story, 216-unit Augusta features innovative amenities for work, study, and play. 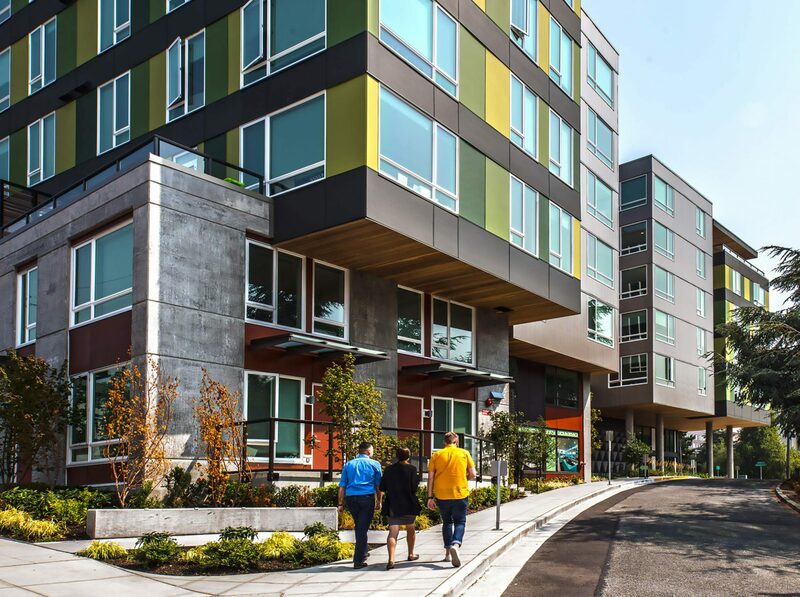 The building is located on the former site of Computer Center Corporation, a startup where Paul Allen and Bill Gates honed their coding skills as teenagers and is named for Augusta Ada Byron, the world’s first computer programmer. 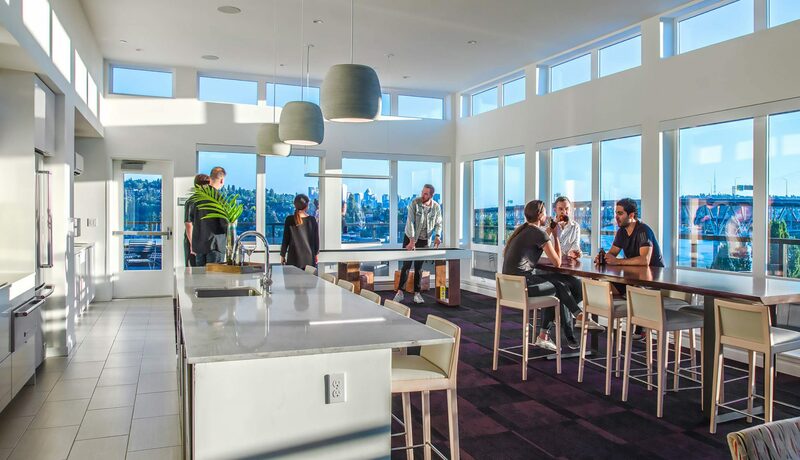 Designed for young professionals and serious academics, amenities include outdoor urban spaces, a sports court and fitness area, a theater/game room, gathering spaces for study and play, demonstration kitchen, and city views from the top floor decks. 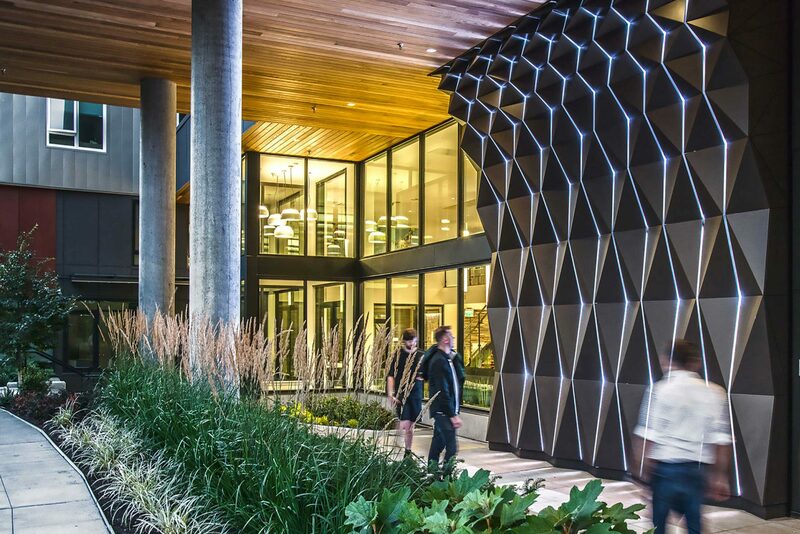 Designed for young professionals and academics, Augusta features gathering spaces for study and play. 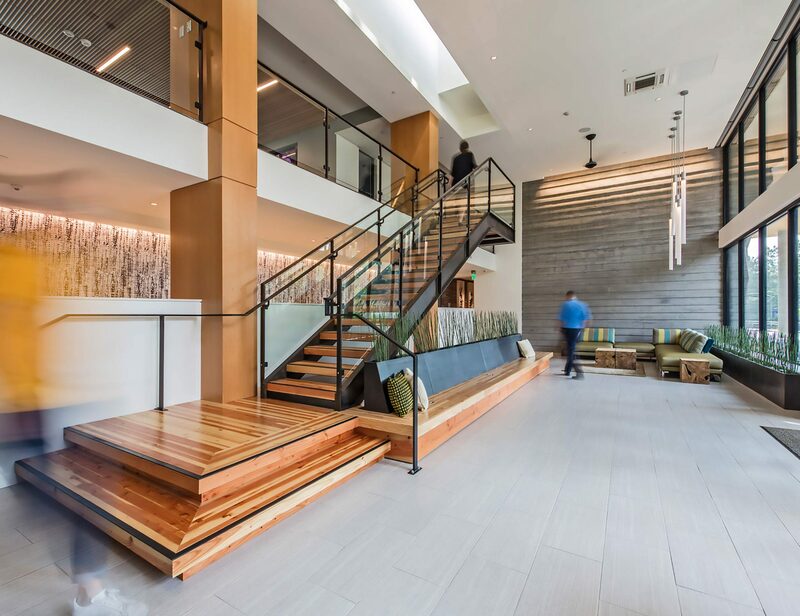 Shared spaces include a sports court and fitness area, a theater/game room and demonstration kitchen. 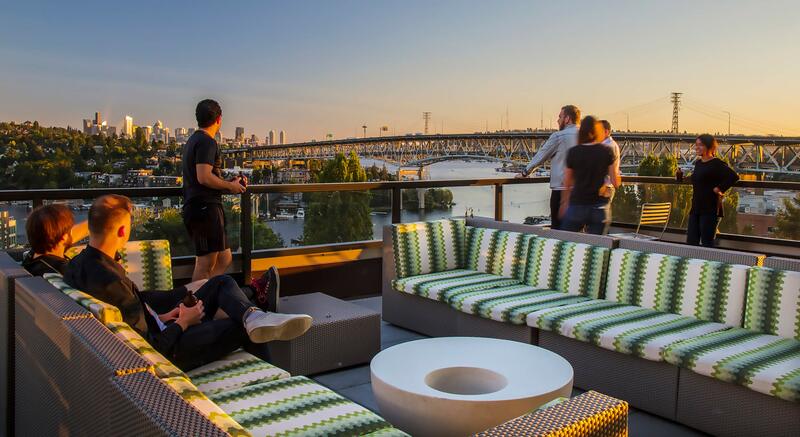 A large top-floor lounge provides spectacular views of downtown Seattle and the Ship Canal. 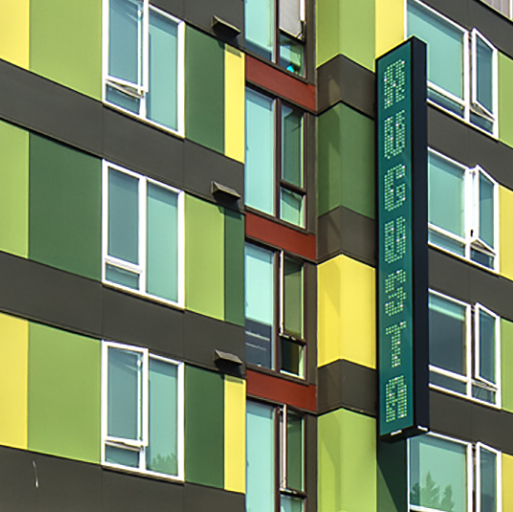 The building’s multi-color hues support technology-inspired artwork and branding reminiscent of early monochromatic computer screens.